University of Ibadan (UI) Post-UTME Admission Screening Results for 2018/2019 Academic Session Successfully Uploaded Online. UI Post-UTME Results Checker Portal Enabled. Authorities of the University of Ibadan, UI has successfully released the results of the recently conducted Post-UTME admission screening exercise for 2018/2019 academic session. 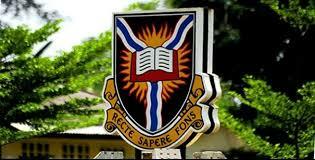 Prospective candidates who applied for admission into the University of Ibadan via UTME are hereby informed that the screening results has been released online. Steps to Check UI Post-UTME Screening Results for 2018/2019 Session. Kindly visit the UI admission portal via http://admissions.ui.edu.ng/. NOTE: The UI Post UTME Screening scores has been dispatched to each applicants via text messages and e-mails.